Off to Tregonning Hill we went, not as sunny today as yesterday but still pleasant. 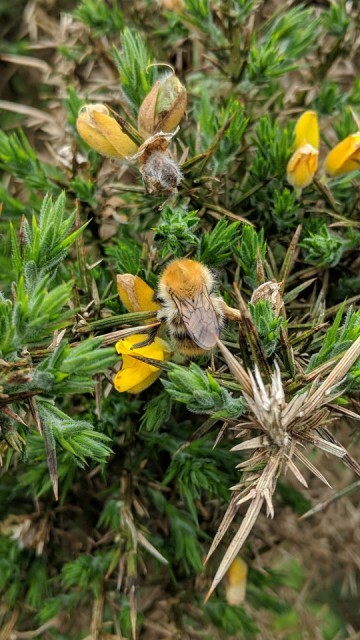 Saw this bee... Hopefully someone can identify it for us as Graham is keen to learn more insect names. Super curry for dinner, nom nom.